The XOLO A1000S is designed to double your smartphone experience. With the dual core proccessor, dual LED flash, dual sim, and dual speakers, it isone phone with double the action. It has a brilliant display which takes your smartphone viewing experience to a whole new level. This smartphone is sleek and stylish with the dimensions of 128 x 63 x 8.98 mm. It has the volume and power button on the sides just like other smartphones and has hard keys. It fits in perfectly in your palms to get that firm grip. It's a dual slim phone and hence there are two sim card slots and one micro SD memory card slot. 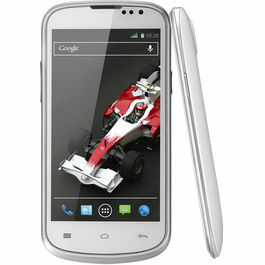 The XOLO A1000S boasts of a 5 inch screen with FWVGA IPS TFT display which makes the picture quality bright and clear. If you love watching movies on your phone or even love to game, then the Xolo A1000S is the perfect phone you will need. The XOLO A1000s comes with the Android Kitkat OS. It comes with the latest features, better performance and upgraded graphics clarity that will make your phone usage more exciting. With the 1GHz Dual Core processor and 1 GB RAM, the XOLO A1000S is super fast giving you a seamless smartphone experience. Be it at work or watching movies or browsing the internet, the speed at which you can perform all these are simply brilliant. It is has GPS, Wi-Fi (802.11 b/g/n) as well as microUSB v2.0 connectivity. Share files, songs and videos on the move with the high speed 2.0 version Bluetooth connectivity. The XOLO A1000S comes with dual LED flash. The front camera is 5MP one and the front camera is a VGA camera which is useful for video calling. With the dual LED flash, you need not worry about low light conditions. The camera has various features such as Scene detection & tuning, Face Recognition, Geo tagging, Best shot, Smile shot, Panorama and HDR. This phone comes with dual speakers which gives you quality sound and it also has a 3.5mm audio jack, so that the songs can be enjoyed over earphones and on the external speakers. The audio player supports MP3, MID, WAV, 3GPP and AMR formats. The supported video formats are MP4, 3GP, AVI and much more. It has a Video Playback of 720p. The XOLO A1000S has a 1GB RAM which gives you a flawless opearation. 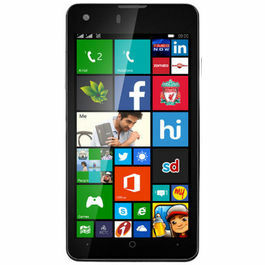 The internal phone memory is of 4GB and can be expanded upto 32GB with the help of external memory card. The battery is of 2000mAh and is powerful enough to support the phones seamless operation. The total standby time (3G) is upto 590 hours and the total talktime (3G) is upto 13hrs. The XOLO A1000S is a phone packed with power in all aspects. For the price, this phone has a lot to offer. Go for it! 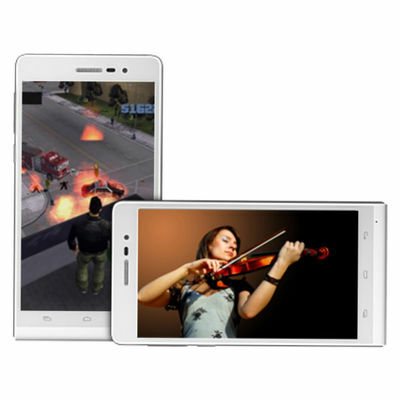 The XOLO A1000S is designed to double your smartphone experience. With the dual core proccessor, dual LED flash, dual sim, and dual speakers, it isone phone with double the action. It has a brilliant display which takes your smartphone viewing experience to a whole new level.DESIGN & DISPLAYThis smartphone is sleek and stylish with the dimensions of 128 x 63 x 8.98 mm. It has the volume and power button on the sides just like other smartphones and has hard keys. It fits in perfectly in your palms to get that firm grip. It's a dual slim phone and hence there are two sim card slots and one micro SD memory card slot. 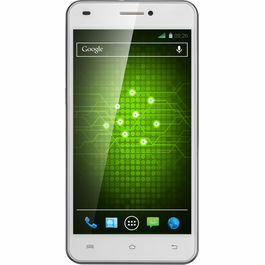 The XOLO A1000S boasts of a 5 inch screen with FWVGA IPS TFT display which makes the picture quality bright and clear. If you love watching movies on your phone or even love to game, then the Xolo A1000S is the perfect phone you will need.PROCESSOR & OSThe XOLO A1000s comes with the Android Kitkat OS. It comes with the latest features, better performance and upgraded graphics clarity that will make your phone usage more exciting. With the 1GHz Dual Core processor and 1 GB RAM, the XOLO A1000S is super fast giving you a seamless smartphone experience. Be it at work or watching movies or browsing the internet, the speed at which you can perform all these are simply brilliant.CONNECTIVITYIt is has GPS, Wi-Fi (802.11 b/g/n) as well as microUSB v2.0 connectivity. Share files, songs and videos on the move with the high speed 2.0 version Bluetooth connectivity.CAMERAThe XOLO A1000S comes with dual LED flash. The front camera is 5MP one and the front camera is a VGA camera which is useful for video calling. With the dual LED flash, you need not worry about low light conditions. The camera has various features such as Scene detection & tuning, Face Recognition, Geo tagging, Best shot, Smile shot, Panorama and HDR.MULTIMEDIAThis phone comes with dual speakers which gives you quality sound and it also has a 3.5mm audio jack, so that the songs can be enjoyed over earphones and on the external speakers. The audio player supports MP3, MID, WAV, 3GPP and AMR formats. The supported video formats are MP4, 3GP, AVI and much more. It has a Video Playback of 720p.MEMORY & BATTERYThe XOLO A1000S has a 1GB RAM which gives you a flawless opearation. The internal phone memory is of 4GB and can be expanded upto 32GB with the help of external memory card. The battery is of 2000mAh and is powerful enough to support the phones seamless operation. The total standby time (3G) is upto 590 hours and the total talktime (3G) is upto 13hrs. The XOLO A1000S is a phone packed with power in all aspects. For the price, this phone has a lot to offer. Go for it!